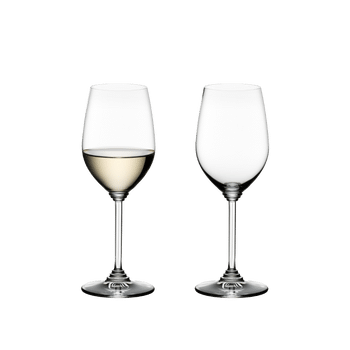 The durable machine-made Champagne glass of the functional glass collection Wine features a light-catching, decorative stem. This classically shaped glass is often used for light, fresh, dry champagnes. However, this shape is the choice of those connoisseurs who choose their glass from an aesthetic point of view. This special collection was created for customers, who feel that plain stemware on a well laid table is just not decorative enought. All RIEDEL glasses are dishwasher safe.